Check the Activities Page for 2019 events! 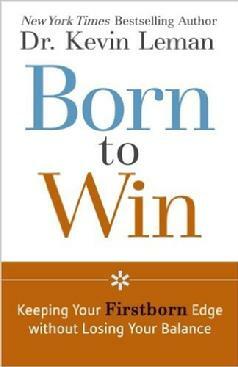 WELCOME to all readers of Dr. Kevin Leman's book, Born to Win! We hope you'll join our social club, or forward our site to those who might be interested in joining us for our exciting upcoming 2019 year of events! Are you a first born girl or are you raising one? one who has taken on first- born characteristics due to special family circumstances. Our organization is dedicated to discovering, sharing and celebrating the unique contribution that first born girls make to the world! For membership information, see our membership page. If you are a first born girl, JOIN our group today! There are no committees, no meetings, no responsibilities. We are a SOCIAL group! The photo above was taken of the 9 founding members in November 2005. In addition to these founding members, members 10 through 30 are considered charter members. We have more than 120 members across the country. Get a group together in your town! What are some of the characteristics of first born children? They are organized, responsible, natural leaders, perfectionists, caretakers, and loyal friends and colleagues. The research is still slim regarding first born women, but our organization is a forum to discuss what those characteristics are. We are all unique, but there are some common threads. For more information on birth order characteristics, visit the official website for Dr. Kevin Leman. Members, we're planning our 2019 events. Email laura@firstborngirls.com to suggest a location near you! We have been featured in Dr. Kevin Leman's new book, The First Born Advantage. Buy your copy today! Click the book to order from Amazon.com. This book was released in paperback as Born to Win. Check it out! LUGGAGE HUGGERS (tm) are still available, but almost gone! Check out the Merchandise Page!